Spring is in the air now...you've probably noticed that the days are getting longer and maybe a little bit warmer! 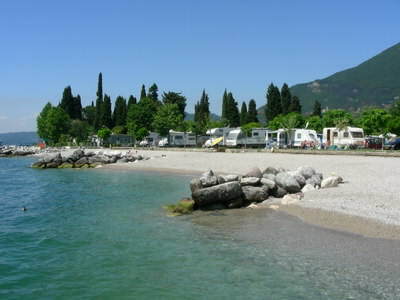 In March time of year, the weather is definitely warming up at Lake Garda; usually it's around 15C, but often warmer! I hope that you've started to think about where you're going to go this summer for a holiday. 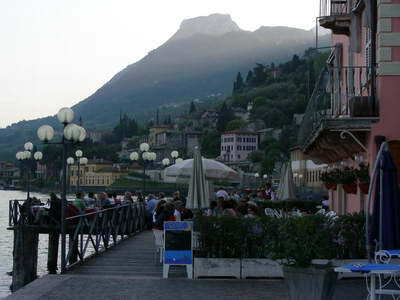 If you want some warm/hot weather, then Lake Garda is perfect from April through to September. It's the perfect place for anyone...be it couples, families, the elderly, and singles. Over the next few months, we're going to go over why it's a great place for everyone. This month our focus is on families with children. We're going to tell you about the best places to take your children to at Lake Garda this summer. Themeparks: Gardaland, Aqua Paradise Park, Movie Studios. 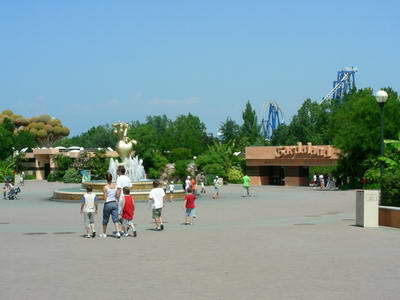 Parco Natura Viva: This contains a Safari park, dinosaur model park and lots of animals to look at. Even if you don't stay on this part of the lake, there are still lots of other things you can do with the children. You can rent boats on the lake, take them on the ferry that goes between all the towns, go fishing even! Or just have a day at the beach with them...kids love nothing more than to paddle in the warm clean lake water, followed by a cold soothing ice cream! You'll find out lots more about the various Parks as well as details about other things to do with the family here. And what about going Camping? There are many fantastic campsites around the lake! Make sure you keep up to date with major events going on around the lake too, as these are often excellent things to take your family to. Between all the towns around the lake, there are always lots of events that go on throughout the year. You'll find many things going on, including art exhibitions, festivals, wine and food tastings, theatre events and sports events. We want to hear about your Lake Garda experiences and stories. Get your story in a future newsletter and share your experiences with others! Whether you want to share your favourite hotel, town, family outing, or sport you've experienced at Lake Garda, we'd love to hear all about it. We hope Lake Garda is a destination you'll consider taking your children to this summer...We just know that the whole family will love it!